CALENDAR LISTING: February 18-20, 2012, George Washington Birthday Parade and Weekend Festivities. Largest parade in the country celebrating the 280th anniversary of the birth of the nation&apos;s first president takes place on Washington&apos;s Birthday holiday, Monday, February 20, 1 to 3 p.m. in Old Town Alexandria. Part of a weekend of events that includes the Birthnight Banquet & Ball and a Madeira Wine Tasting at Gadsby&apos;s Tavern, an historic reenactment at Fort Ward Park, a 10-K race, a 1-mile race just before the parade, plus free open houses at historic attractions on parade day. VisitAlexandriaVA.com or 703-746-3301. Alexandria, VA - Thousands will join in the revelry for the 280th anniversary of George Washington&apos;s birth in his hometown of Alexandria, Virginia. The city celebrates the General&apos;s birthday throughout the month of February with more than a dozen festive events, including the largest George Washington birthday parade in the country, free admission to historic sites, 18th-century dance classes, popular walking tours, and even a Cherry-themed challenge among local restaurants. 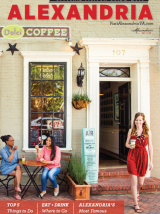 Alexandria is a "best of" when it comes to the volume and spectrum of sites and special events associated with General Washington. With Mount Vernon Estate, Museum & Gardens just 8 miles south of historic Old Town, over 140 places in Alexandria today are associated with the nation&apos;s first president, who conducted business, gathered with friends, worshiped, and even owned a townhouse in the city. Visitors can get a sense of his life in Alexandria with the Walking with Washington tours, offered every Sunday in February. Gadsby&apos;s Tavern Museum is featuring 18th-century dance classes, held each Thursday in February leading up to Washington&apos;s Birthnight Banquet & Ball, a recreation of the ball attended by Washington himself in 1798 and 1799. Gadsby&apos;s will also be offering a Tea with Mrs. Washington and the Swordsmen&apos;s Rendezvous, a family-friendly living history program. Twenty restaurants are competing in the 4th Annual Cherry Challenge, creating dishes and cocktails featuring cherry recipes in celebration of one of the most cherished legends surrounding George Washington. A popular vote will determine the winners, and those restaurants will receive recognition at the parade. Throughout George Washington Birthday Weekend, February 18 to 20, 2012, a variety of events will celebrate Washington&apos;s legacy, including an historic reenactment at Fort Ward Park, the Birthnight Banquet & Ball as well as a Medeira Wine Tasting (Washington&apos;s favorite drink) at Gadsby&apos;s Tavern, plus a 10-K race with a 2-K fun run. On Monday, February 20, the George Washington Birthday Parade, the largest and oldest in the country celebrating this Founding Father, will wind its way through a one-mile route along the historic streets of Old Town from 1 to 3 p.m. Annually the parade includes thousands of participants including historical, community and youth groups, bands, horses and canines. Parade day starts off with the Friendship Veterans Fire Engine Association Breakfast featuring Gen. Barry McCaffrey and the first appearance of George Washington, followed by a ceremony honoring the unknown soldier of the revolutionary war in the courtyard of the Old Presbyterian Meeting House. At 11:30 a.m. at Market Square, a new special event will take place - the Armed Forces Community Covenant Ceremony to honor our nation&apos;s veterans, active military, and their families with entertainment, games and activities for children, military vehicles, demonstrations, informational booths and displays. A one-mile race, the George Washington Birthday Parade Mile, will take place just before the parade. Historic sites will offer free admission throughout the day, including Gadsby&apos;s Tavern Museum, Stabler-Leadbeater Apothecary Museum, Carlyle House, Friendship Firehouse Museum, The Lyceum: Alexandria&apos;s History Museum, and historic Christ Church. On parade day, parking is FREE at the parking lots adjacent to the Eisenhower Avenue Metro Station; from here, a Free DASH shuttle bus will take you downtown and back from 11 a.m. to 4 p.m. The Free King Street Trolley will also be in operation all day until 11 p.m. from King Street Metro Station. The George Washington Birthday Celebration Committee maintains a 24-hour phone line that will report any change of status or the cancellation of any event (in case of inclement weather, for instance). Call the Events Hotline 703-829-6640 at any time. Event status will also be reported at www.washingtonbirthday.net/status. In preparation for George Washington&apos;s Birthnight Banquet & Ball, learn 18th-century English country dancing from expert dance instructors. In honor of George Washington&apos;s birthday, twenty Alexandria restaurants are creating unique menu items featuring cherries in celebration of one of the most cherished legends surrounding our first president. Each restaurant will develop its own cherry cocktail, appetizer, entrée, or dessert. Try them all and vote for your favorite. Winners are given special recognition at the George Washington Birthday Parade. Participating restaurants include The Majestic, Virtue Feed & Grain, Bittersweet, Dishes of India (last year&apos;s "dessert" winner), Fontaine Caffé & Creperie, Gadsby&apos;s Tavern Restaurant, Indigo Landing, King Street Blues Old Town, Murphy&apos;s Grand Irish Pub (last year&apos;s "mains" winner), Pizzeria Paradiso, Ramparts, RedRocks Pizza Napoletana, Shooter McGee&apos;s, St. Elmo&apos;s Coffee Pub, Tempo (last year&apos;s "starters" winner), The Jamieson Grille, The Light Horse Restaurant, T.J. Stones, and Whole Foods Market. 1 hour tours from 11 a.m. to 4 p.m.
En garde! Experience this unique living history program as you learn a skill all 18th-century gentlemen must know - swordplay! The program includes re-enactment of 18th-century swordplay and a display of 18th-century weapons. This popular family event will include some audience participation as you practice your newfound talents. Race headquarters is the US Patent and Trademark Office, access from Eisenhower Avenue between Elizabeth Lane and John Carlyle Street. Start and finish will be in front of the Madison Building on Eisenhower Avenue. Certified racecourse through Eisenhower Valley. Cash prizes, T-shirts and refreshments will be provided for runners, with the proceeds benefiting George Washington Birthday Celebration. Maps, parking, and Metro access information may be found at www.washingtonbirthday.net. Participate in a reenactment of the 1798 and 1799 balls George Washington attended to celebrate his birthday. Colonial attire encouraged but not required. Dancing lessons are available prior to the Ball. For the first time there will be live Tweeting at the Birthnight Banquet & Ball through @JohnGadsby using the hashtag #GWBall. Fort Ward Park, 4301 W. Braddock Rd. Gadsby&apos;s Tavern Museum, 134 N. Royal St., 703-746-4242. The weekend of George Washington&apos;s birthday, enjoy his favorite drink as you toast birthday wishes to him! At Gadsby&apos;s Tavern Museum&apos;s Madeira Wine Tasting, taste four Madeira wines produced by Blandy&apos;s, a family-owned business since 1811 and learn about Madeira production as you taste it with food pairings. Holiday Inn & Suites, 625 First St. The Friendship Veterans Fire Engine Association sponsors this meeting at the Holiday Inn & Suites where a hearty breakfast is served. Those in attendance are treated to the first appearance of the day by George Washington and an address by Gen. Barry McCaffrey. 11:30 a.m. until 12:30 p.m.
Join us as we honor our Nation&apos;s Veterans, Active Military, and their families with entertainment, games and activities for children, military vehicles, demonstrations, informational booths and displays. Dignitaries attending include Colonel John J. Strycula, Garrison Commander, Fort Belvoir; Colonel Daniel J. Choike, Base Commander, Marine Corps Base Quantico; Alexandria&apos;s Town Crier; George and Martha Washington; the Mayor of Alexandria; and the Parade Grand Marshal, Patsy Ticer. There will be an opportunity to sign a covenant document to show your support for our troops. Be a part of the second running of the Parade Mile. Run occurs just before the parade on the parade route. Special winter fleece beanies will be given to preregistered race participants. Start Time: 12:30 p.m.; Start & Finish Location: The parade reviewing stands at King and Royal streets. Please note that you must be able to finish the mile in 15 minutes or less. Absolutely no strollers or pets. The nation&apos;s largest George Washington birthday parade marches a one-mile route through the streets of Old Town Alexandria. With nearly 3,500 participants including historical groups, youth from scouting groups and animals, this is still a local, community parade in honor of one of the City&apos;s favorite sons. The parade starts at 1 p.m. at the intersection of Gibbon and S. Fairfax streets. The reviewing stand is located near City Hall&apos;s Market Square, at the intersection of King and Royal streets, and ends at Wilkes and S. Royal streets. See www.washingtonbirthday.net for maps and additional information. Tickets: $25 per person; $20 per person in groups of six or more. Ever wonder how the first First Lady entertained her guests? What is the proper way to hold a teacup with no handles? Here is your chance to experience history with Martha Washington as she discusses 18th century tea customs as well as clothing and dancing of the period. Eighteenth-century tea includes the museum&apos;s special blend of tea, pound cake, dried fruit, and assortment of cookies. Party attire requested.